When I was at 'Look Mum No Hands!' on Sunday after the short but useful Nocturne Recce, Bob a veteran of all manner of cycling events and a person with a good eye for interesting cycling items, put a copy of 'The Ride' into my hands. Quickly flicking through the pages I could see some gorgeous photography and articles that I knew would enjoy. I took a photo of the front cover at act as an aid memoir for when I got home. 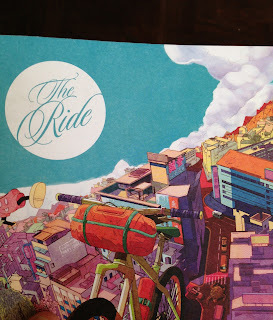 When I got home a quick search of the internet revealed that there was a website for 'The Ride Journal' which among other things listed where you could purchase a copy. 'The Ride' started in 2008. 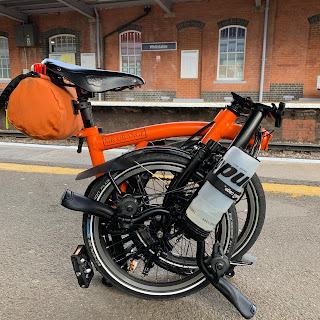 The idea was to create a journal of personal stories about all sorts of bicycles and riders, from all across the world. 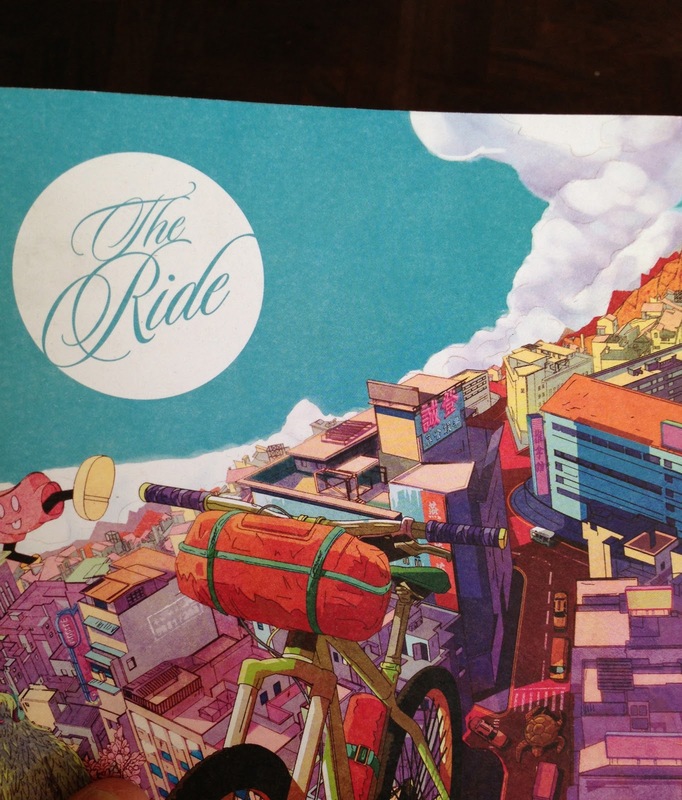 The profits from the sale of the 'The Ride' are donated to various charities, so pretty good so far. From my very quick glance I could see that it was something of great quality and I wished I had bought a copy. A further search on their website revealed that you could actually download the first four copies for free. I have now done this and have been hooked on reading the articles and viewing the many photographs ever since. In fact it has become bedtime reading. It is quite simply a brilliant read and I will be placing an order for the next copy. Even in this age of technology there is still something quite exciting about reading this sort of journal and experiencing that fresh paper smell, so I won't be downloading again and will buy a physical copy. Occasionally I get the odd cycling magazine but I have to say they are somewhat repetitive. In the four copies of 'The Ride' I downloaded that certainly isn't the case. There is a huge amount of originality and variety in the articles. You might want to download the free past issues (while they are still available) and see what you think. If you have any interest in cycling I am sure you that you won't be disappointed! A bit dear, though, isn't it! The way I look at it your typical monthly cycling magazine is usually £5. The Ride doesn't come out every month and i would probably buy one now and again. In addition they let you download 4 x back issues for free, so all in all still pretty good. Truly beautiful! Thanks for the link. I have downloaded the back issues and put them on my iPad! I fly to the UK on Sunday and will read them on the flight! Awesome.